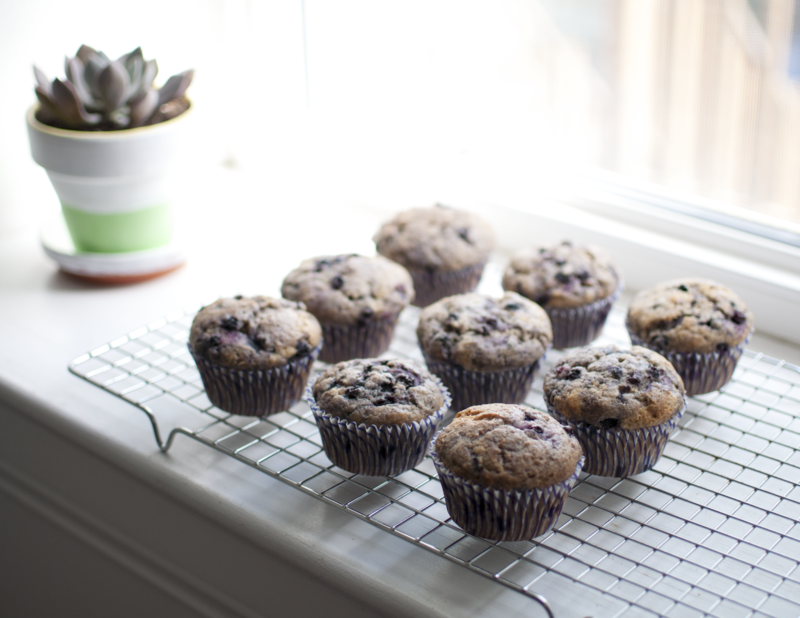 You are here: Home / blueberries / Vegan Blueberry Muffins. I’m no writing expert, but even I sometimes hit a wall. I think they call that “writer’s block.” 😉 There are just times where – even if I enjoyed a recipe or felt inspired by it – I just don’t know what to say about it. That’s how I’m feeling today. 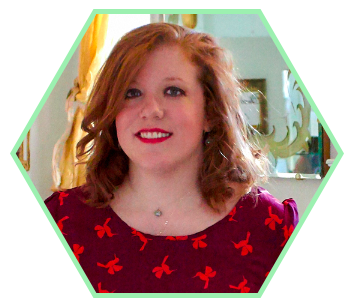 Actually, one of my favorite parts of baking and food blogging involves simply experimenting with various recipes. I even get sick of making certain things over and over again [I kind of hate routines, which makes adult life interesting]. It just gets super boring to me. I’m not vegan, as I think most of you are aware. However, I did decide to make these vegan muffins, just for kicks. I was seriously worried that they wouldn’t turn out, because the batter was slightly off. I may have done something wrong; who knows. I’m pretty sure I was in a daze when I made these muffins, because I forgot to even write down any notes based on my experience with making them. I even fretted when I put them in the oven, unsure as to whether or not they’d turn out. But lo and behold, the baking gods smiled upon me, and they turned out great! You wouldn’t even necessarily know that they’re vegan. 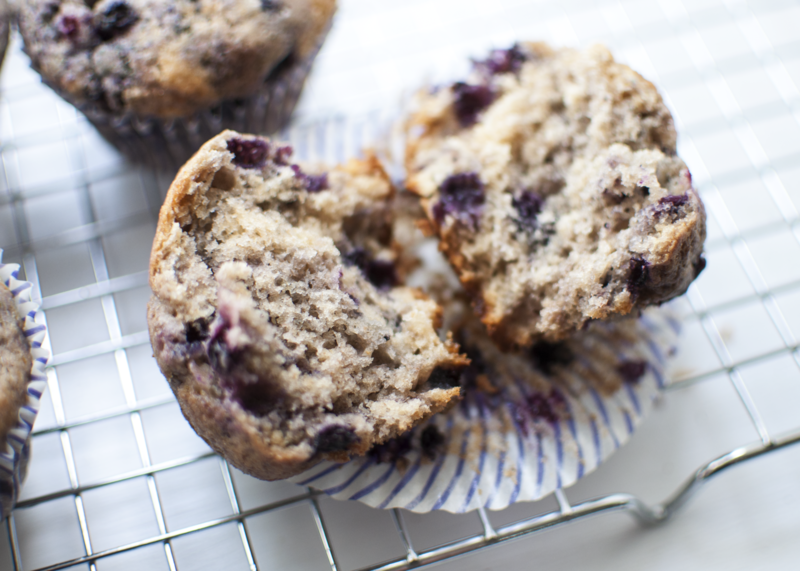 The texture of the muffins is actually quite nice – they’re your typical, soft muffin texture. Yield: 10-12 regular sized muffins. 1. Preheat your oven to 400 degrees F. Line a 12-cup muffin tin with 10-12 liners, and set aside. 3. 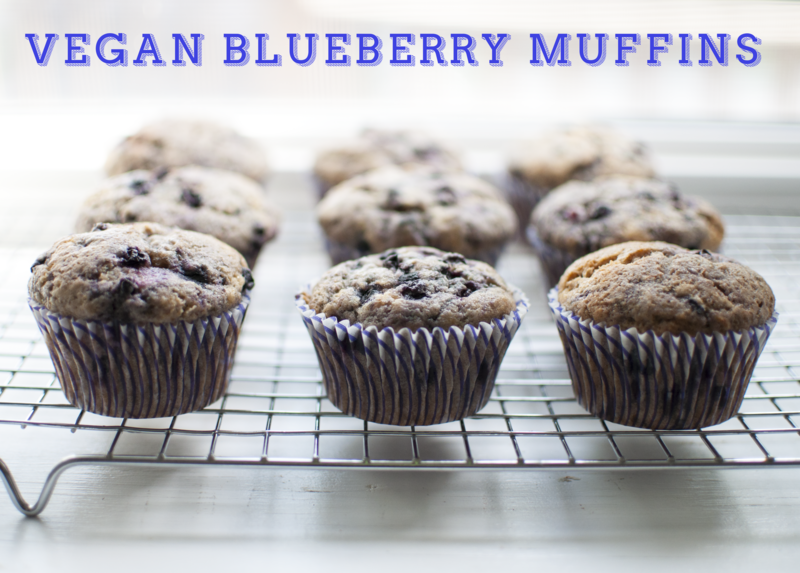 Gently fold in your blueberries, and fill the muffin cups about 3/4ths of the way full. Bake for 20-25 minutes, or until a toothpick in the middle comes out clean (or with a few moist crumbs). 4. 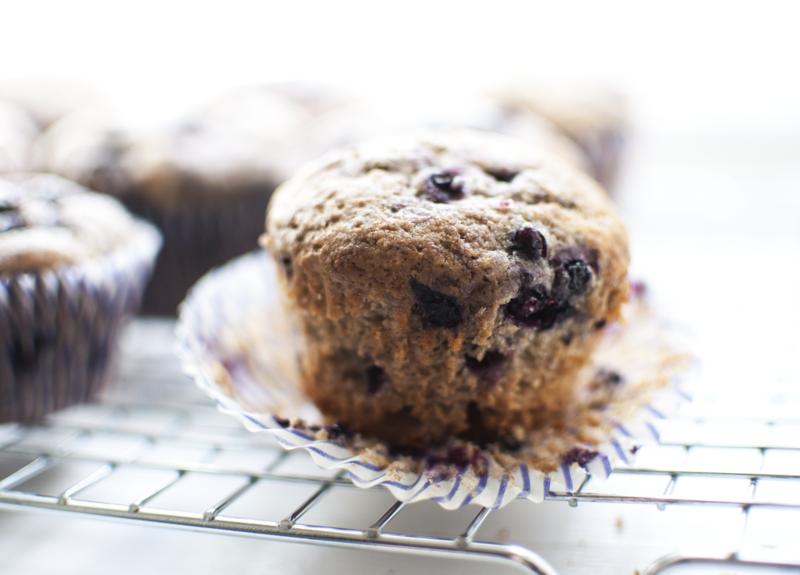 Allow to cool on a cooling rack for 10 minutes in the pan, then remove muffins from pan to cool completely. 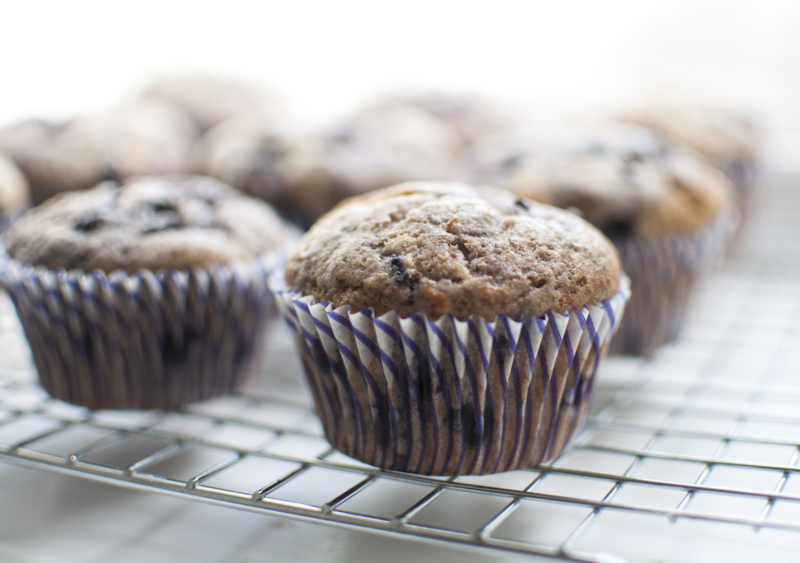 Store muffins in an airtight container at room temperature for a few days.